Wide ranging contributions on relevant topics pertaining to the geology of Greece. 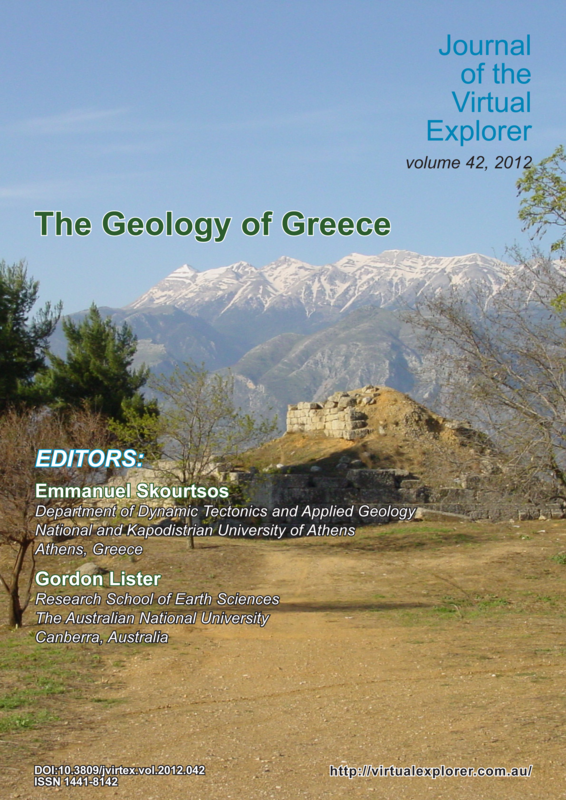 The front cover photograph (provided by Dr Manolis Skourtsos) is symbolic in that it shows the tectonic window of Mount Taygetos in the southern Peleponnese from the ruins of ancient Sparta. In the foreground there is a pyramidal structure made of large well curved stones located at the archaeological site of Menelaion, near the modern city of Sparta. This Mycenaean settlement is attributed to the Homeric Sparta, in the kingdom of Menelaus. Mt Taygetos in the background is built mainly of metaclastic rocks followed by Mesozoic and Tertiary aged marbles belonging to the deepest geotectonic unit of the External Hellenides, the Plattenkalk or Crete-Mani Unit.